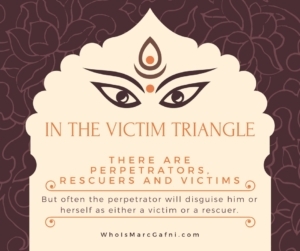 Marc Gafni on Malice and the Victim Triangle - Who Is Marc Gafni? 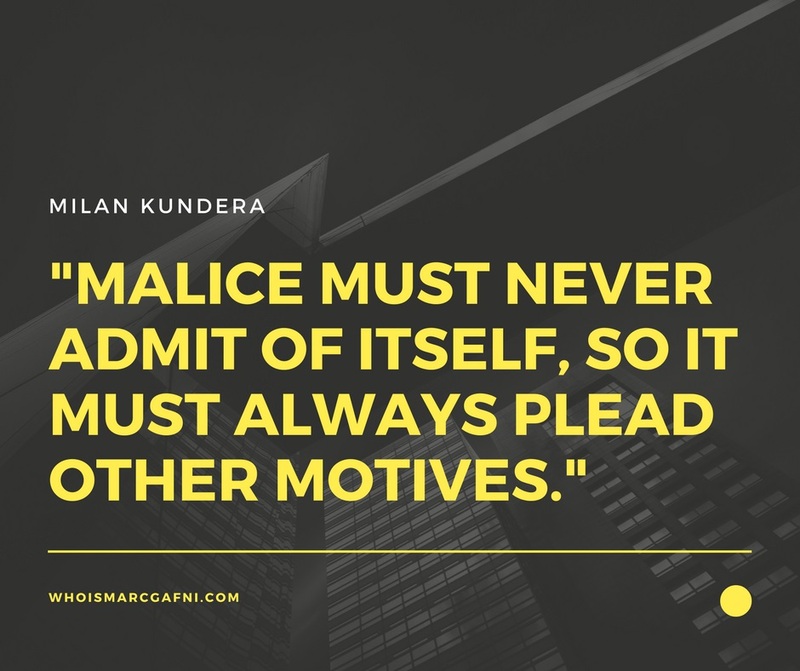 One of the core disguises of malice is to disguise malice under the fig leaf of a noble motive. So often people, could be a professor, could be a political leader, it could be a social activist, is attacked and the disguise for the attack is noble motives. Edgar Hoover tries to attack Martin Luther King for his extramarital sexual affairs. The Internet wasn’t available then, so he did it in all the ways that he could, but it really had nothing to do with that. J. Edgar Hoover hated Martin Luther King. There was malice at play, but he used the motive of exposing King’s sexuality to disguise his malice. Now, although J. Edgar Hoover says I’m protecting women who shouldn’t be with this man, he’s really not protecting any victims. Actually all the people were powerful and they all made decisions. What he’s actually doing is acting out of malice. Now, what often happens is that malice disguises itself under the guise of being a protector or a rescuer. This is called the victim triangle which is a very important idea and it’s a staple of modern psychology. It’s really important to understand or you can’t really understand how false complaints work. In the victim triangle there are perpetrators, rescuers and victims, and the core idea of the victim triangle is that often the perpetrator will disguise him or herself as either a victim or a rescuer. So people might attack a person with false complaints. It might be women or it might be men encouraging women to make a false complaint for political reasons, for adversarial reasons, for rivalry reasons, but they can’t admit to that malice, so they disguise it with other motives. What are the other motives? We’re protecting victims. We’re standing against abuse. We are standing for the feminine. When actually that’s not the motivation at all—it’s actually driven purely by malice, but malice pleads other motives. The other motives is malice pretends to be a rescuer, pretends to be a protector. That’s a critical distinction that we need to understand. Recently Kenneth Starr was demoted from the president of Baylor University. Kenneth Starr was the prosecutor of Bill Clinton for Bill Clinton’s sexual affairs. Why was he demoted? He was demoted for allowing sexual assault and harassment by the football team at Baylor which is the team that he used to raise hundreds of millions of dollars for Baylor. Fascinating, right? Kenneth Starr is the zealous prosecutor, but actually he wasn’t actually protecting women, he was acting out of a visceral and vicious political instinct. 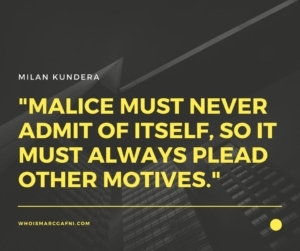 So malice disguises itself and pleads other motives. We need to be able to recognize malice directly and expose it as a motive, whether men or women are involved.